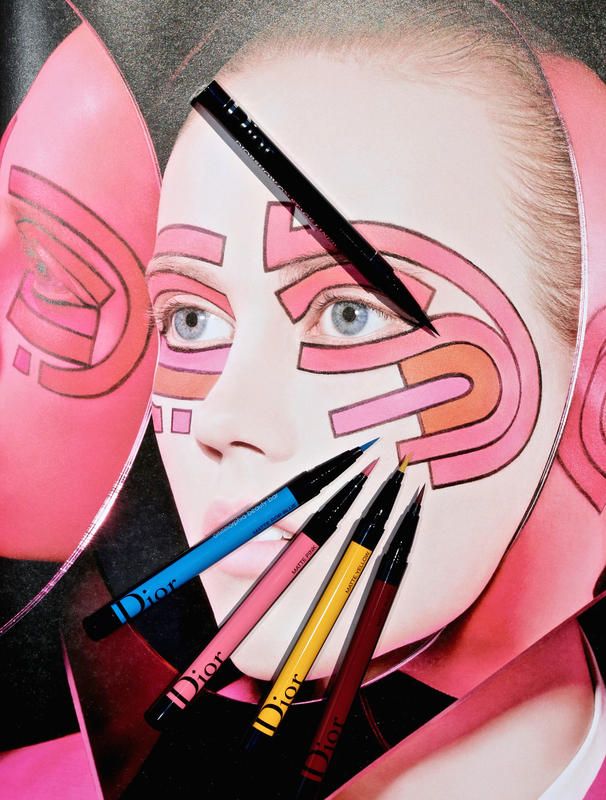 Every Dior runway show serves as both testing ground and inspiration for new beauty products, and these latest launches have a little something extra: tons of colourful fun. 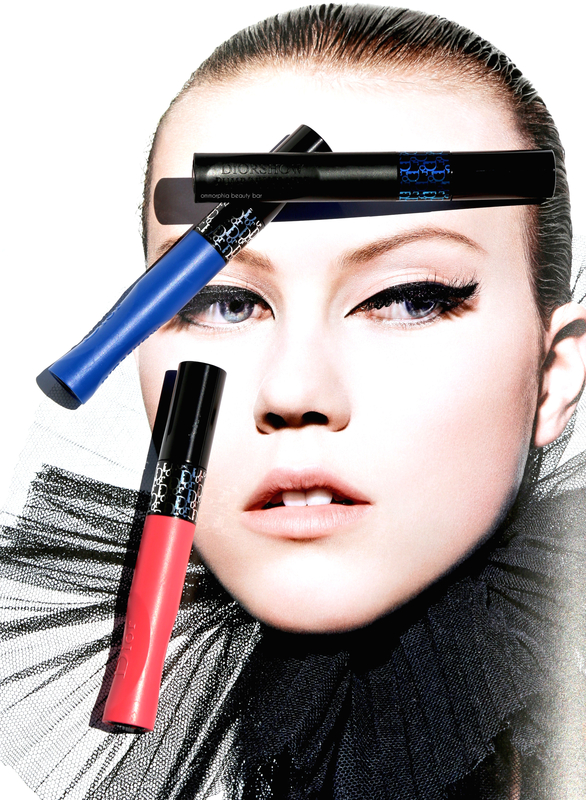 Imagined by Peter Philips, Creative & Image Director for Dior Makeup, the liners and mascaras are on point for summer, proving that colour is pretty much the only accessory you really need. 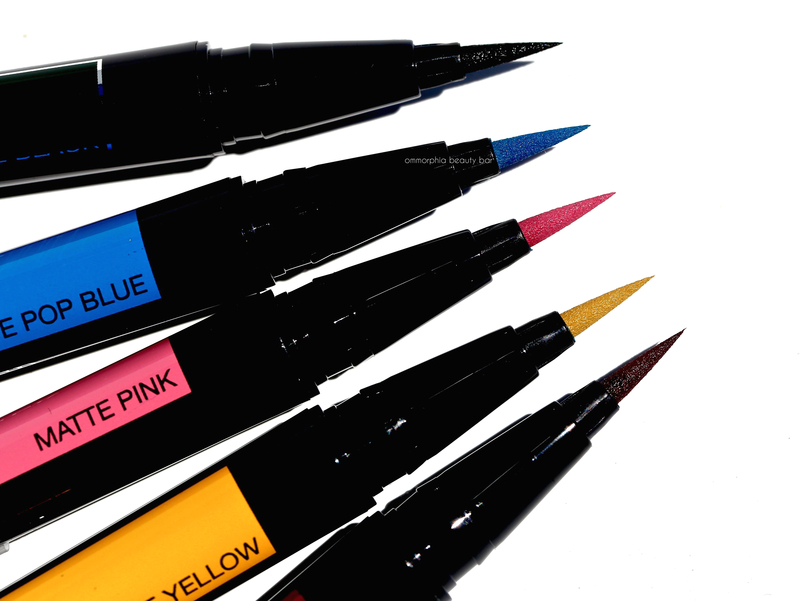 Diorshow On Stage Liner (CAN $35.00/each) | Available in ultra-shine vinyl black and 14 other shades, these eyeliners come with a felt-tip applicator that has just enough flexibility to help it move effortlessly along the delicate skin around the eye, but still maintains the rigidity needed for precision work. The long-wear formula is non-transferable once set and said to to stay put for 24 hours; I may never intentionally wear makeup that long, but it’s good to know that these liners have such excellent longevity. Personally, as someone who has experienced her fair share of lining issues, I always reach for something in this format when looking to create that perfect (and sometimes less than perfect) wing; what makes these liners stand out for me, is how beautifully pigmented they are from the first swipe, basically eliminating the need for layering up, and how well they last without cracking or flaking off. Diorshow Pump ‘N’ Volume Mascara (CAN $37.00/each) | When this mascara launched last year (reviewed here), it was not only revolutionary formulation-wise, but became an immediate hit with consumers and professionals alike. 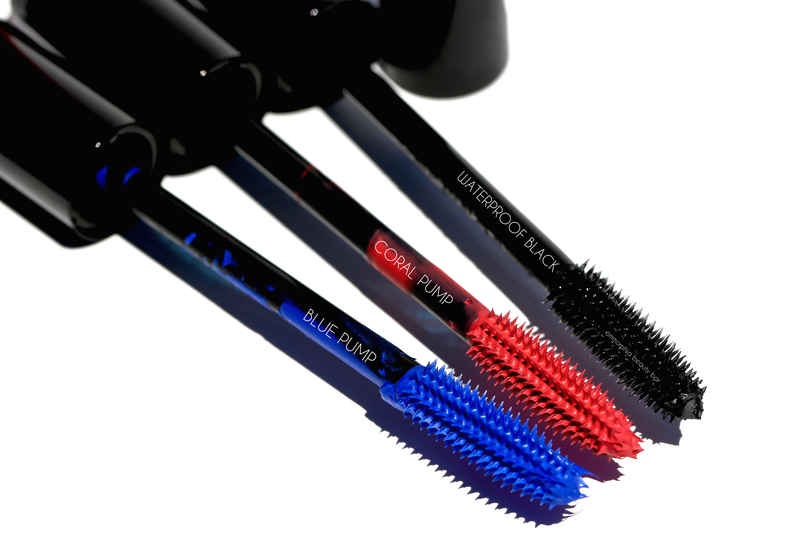 The reason for this is the internal mechanism [the pump] that ensures you get a creamy deposit of colour per application, coupled with a brush that effortlessly coats & separates your lashes every time. Taking things up a few notches this year, this innovative mascara has been reimagined in vivid colour along with a waterproof version, that will be so useful for the hot weather that’s about to hit. As someone who is fairly obsessed with blue mascara, I have to say that Dior’s versions have been my go-to faves for years, producing the intense and vivid blue shade (without ever coming off as garish) that I look for, and this year’s iteration may be my favourite yet. Despite wearing the coral hue full-on for the swatch below, in reality I prefer to layer it on the outer tips and usually over black; it becomes much more wearable this way while still adding an interesting pop of colour. As to the waterproof version, I usually reserve wearing this type of mascara for special events where I know I want it to last flake & smudge-free for the duration … or where I’m pretty sure I’ll be crying (i.e. : weddings). Regardless of whether I wear regular or waterproof mascara, I always use a dual-phase remover (my Holy Grail for years now, is the one from Neutrogena) to take everything off, as it’s not only the most effective but also the gentlest on lashes. 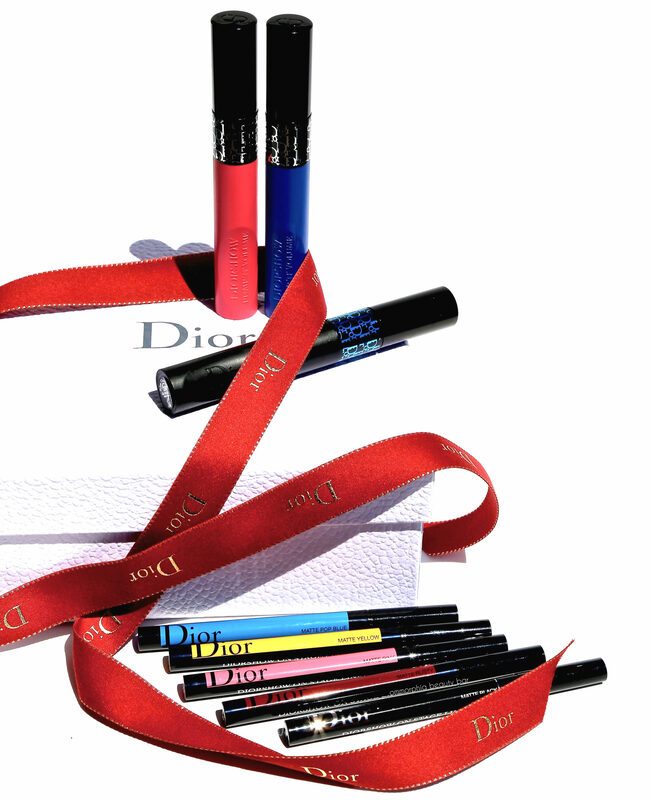 When it comes to mascara, Dior has been steadily mastering the field (the Diorshow and Overcurl versions are two of my most reached-for) and I’m totally loving the new colourful versions; it’s good to think outside of the box every now & then, especially during the summertime. What makes these new liners interesting, is that they serve a dual purpose: definition + colour, making it appear like you’ve put in way more effort into your makeup application than you actually have. Or another way to think of them: colouring for adults.